We are truly thrilled to be open in Austin for so many reasons! We are so excited to have partnered with Katie Meier of Austin Heart Vet to serve the Austin market. We know there is such a high need for cardiology in the area and are thrilled to be able to welcome Sara Bordelon from our Fairfax, Virginia location and we look forward to expanding further to ensure availability to all of our patients and primary care veterinarians in Austin and the surrounding areas. The CVCA team is always seeking feedback on how we can improve our service to you and your patients as we are constantly striving to improve. Please visit our primary care veterinarian survey here or reach out to us anytime with questions or concerns. In July of 2018, the Food and Drug Administration announced an investigation of grain-free, dog food diets and a common type of canine heart disease – dilated cardiomyopathy (D.C.M.). One of CVCA’s board-certified veterinary cardiologists, Steven Rosenthal, DVM, Diplomate, ACVIM (Cardiology) was interviewed for The New York Times article: Popular Grain-Free Dog Foods May Be Linked to Heart Disease. CVCA's website now contains a nutrition resources page for Pet Owners and a page for Vets & Techs along with two paragraphs of 'guidance' to help address some of the questions and concerns on nutrition and DCM. The use of NT-proBNP has become an important part of veterinary cardiology. NT-proBNP can be used as a screening test for cardiac disease in asymptomatic patients and in dyspneic patients to help determine if the cause of the symptoms are cardiac or respiratory. Using these tests varies in different scenarios and varies among the different tests available. While in human medicine, NT-proBNP can be used to guide treatment in patients with congestive heart failure, that information is not available in veterinary medicine at this time. NT-proBNP is more stable and more accurately measured than BNP and the most recent generation of the NTproBNP test measure metabolites of NTproBNP that are more stable in serum than the previously measured hormones - no longer need special tubes! Heart disease in cats is often silent. In multiple studies, ~ 30% of cats with arterial thromboembolism (ATE) have no previous evidence of heart disease and no auscultable abnormalities at time of the ATE. 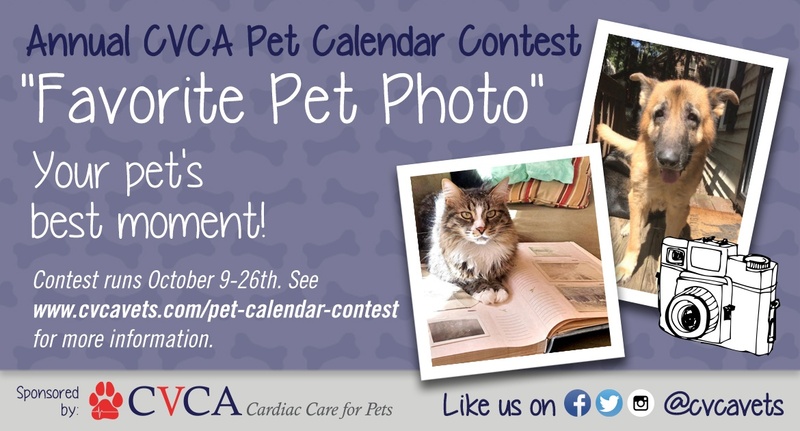 Fifteen percent of apparently healthy cats have echocardiographic left ventricular hypertrophy. It has become clear that auscultation alone is not enough to screen for heart disease in cats. Also, using NT-proBNP in addition to history and physical examination, improves practitioner confidence in radiograph interpretation. When to use NT-proBNP in cats? Prefer NT-proBNP when possible, especially in asymptomatic cats. SNAP BNP may be used - interpretation is different. Clinically significant heart disease unlikely. CHF possible but patient may have occult CM with respiratory disease. CHF likely but still possibility of occult C with respiratory disease. Remember: NT-proBNP can be increased by other diseases - most commonly in the cat: hyperthyroidism, severe renal disease and hypertension. Dilated Cardiomyopathy (DCM) is often silent/occult and radiographic cardiac enlargement is difficult to detect, especially with early disease. NT-proBNP can be used for screening for DCM in Doberman pinschers. The accuracy of using NT-proBNP as a screening test is improved to 91% when combined with Holter monitoring. It is important to note that levels of NT-proBNP in Dobermans with occult DCM are lower than the normal range for other breeds of dogs. NTproBNP < 900 Clinically significant heart disease likely. Echo could be recommended. NTproBNP > 900 Clinically significant heart disease likely. Recommend CVCA consult, consider thoracic radiographs if fluids or surgery indicated. occult DCM. 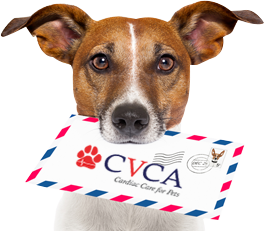 Recommend CVCA consult. next 12 months. Strongly encourage CVCA consult. Recommend thoracic radiographs in the event fluids or surgery indicated. In contrast, As in cats, NT-proBNP can be used to help evaluate if respiratory signs are due to CHF vs. other (ie: respiratory disease, neoplasia, etc.). There is no SNAP BNP test available for dogs. disease, but equivocal for CHF. determine heart failure vs. other disease. Indicates presence of significant heart disease with likelihood that signs are secondary to CHF. Recommend thoracic radiographs and treat supportively. If not responding appropriately, reevaluate for possible PHT. Remember - NT-proBNP can be increased by other diseases - most commonly in the dog: severe renal disease, pulmonary hypertension, Cushing’s disease, systemic hypertension. CVCA Cardiac Care for Pets, located inside of Austin Veterinary Emergency & Specialty Center, is excited to be in opened in Austin! We are committed to providing the best client service, experience and the highest level of patient care for each and every patient. Katie Meier graduated from the University of California at Davis School of Veterinary Medicine in 2003. She then went on to complete a year long rotating post graduate internship at Texas A&M College of Veterinary Medicine. She completed her residency in Cardiology at the University of Pennsylvania Matthew J. Ryan Veterinary Hospital in 2006. She achieved board certification in 2007 and is a Diplomate of the American College of Veterinary Internal Medicine, sub-specialty of Cardiology. In 2009, Dr. Meier founded Austin Heart Vet, a comprehensive veterinary cardiology practice in central Texas. By offering advanced diagnostics and therapeutics, Dr. Meier hopes to bring the highest quality of specialty care to the largest number of pet owners and patients as possible. In 2018, Dr. Meier merged her practice with CVCA and is excited to bring the best of both businesses to the Austin veterinary community. Special interests include arrhythmia diagnosis and management, diagnosis and interventional therapy for congenital heart disease, and long term management of congestive heart failure. Sara Beth Bordelon obtained her DVM degree from Louisiana State University College of Veterinary Medicine in 2005. She completed a one-year rotating internship in Los Angeles, CA prior to beginning her Cardiology residency. She completed her Cardiology residency at Washington State University and became a Diplomate of the American College of Veterinary Internal Medicine (Cardiology) in July 2009. Dr. Bordelon joined CVCA in 2015 and spent three years in our Fairfax, VA location. Dr. Bordelon enjoys all aspects of cardiovascular disease but has a special interest in feline cardiac disease, management of arrhythmia's, diagnosis and management of congenital cardiac disease, and management of pulmonary arterial hypertension. In her free time, she enjoys reading, running, yoga, and spending time with her husband and two little boys. She looks forward to being close to family in the Austin area. Kendra, our Team Leader, has over 10 years of experience in the veterinary field with special interests in anesthesia, pharmacology, and animal behavior. She spends her free time painting, gaming, and gardening at home with her cat, Sherman. Tara, our Veterinary Technician, was born and raised in Texas and has been in the veterinary field for 6 years. She enjoys hiking, traveling and spending time with her Chihuahua mix, Junior and Bearded Dragon, Kohaku. Beau, our Veterinary Assistant began working with CVCA in 2006 in our Virginia location before moving to Austin in 2014. Beau is very happy to be back with the CVCA team in NW Austin. In his spare time, he enjoys being outdoors at the lake, hiking and camping! Cortney, our Veterinary Assistant, was born and raised in Austin TX. In her spare time, she loves going to the lake, hanging out with her 3 legged chihuahua, and the Dallas Cowboys. Shannah, our Veterinary Assistant, has worked in the veterinary field for 12 years, 4 being in Cardiology. In addition to being a hard working veterinary technician, she is an avid boater and enjoys weekends at the lake and camping with her family and dog. CE: 9 a.m - 5 p.m.
Lectures will cover surgery, dentistry, cardiology, emergency and critical care, neurology, and more! And, stop by the CVCA table to learn more about us! In need of marketing materials, magnets, business cards, or other collateral? Fill out the Supply Request Form to quickly request materials! Winners Announced: On or before October 31st. Sign-up today, or share with a colleague, to receive cardiology articles sent directly to your inbox each quarter! 1. Reynolds, CA, Brown DC, Rush JE, et al. Prediction of first onset of congestive heart failure in dogs with degenerative mitral valve disease: The PREDICT cohort study. J Vet Cardiol 2012; 14 (1); 193-202. 4. Paige CF, Abbott JA, Elvinger F, et al. Prevalence of cardiomyopathy in apparently healthy cats. J Am Vet Med Assoc. 2009 Jun 1;234(11):1398-403. 7. Fox PR, Oyama MA, Reynolds C, et al. Utility of plasma N-terminal pro-brain natriuretic peptide (NT-proBNP) to distinguish between congestive heart failure and non-cardiac causes of acute dyspnea in cats. J Vet Cardiol. 2009 May;11 Suppl 1:S51-61. 8. Connolly DJ, Soares Magalhaes RJ, Fuentes VL, et al. Assessment of the diagnostic accuracy of circulating natriuretic peptide concentrations to distinguish between cats with cardiac and non-cardiac causes of respiratory distress. J Vet Cardiol. 2009 May;11 Suppl 1:S41-50. 11. Oyama MA, Fox PR, Rush JE, et al. Clinical utility of serum N-terminal pro-B-type natriuretic peptide concentration for identifying cardiac disease in dogs and assessing disease severity. J Am Vet Med Assoc. 2008 May 15;232(10):1496-503.